I pondered for a while about how to preface this list, but its pretty self-explanatory. Death is a pretty beautiful thing when it comes to cinema. There are deaths in film that, when due to great performances, direction and writing, you get unbearably powerful moments. This is a list of those deaths. This is a list dedicated to my favorite deaths in film because of their meaning and power, not necessarily the ones that are remembered in cinema history as classics, such as the shower scene in Psycho or King Kong falling off the Empire State Building. While those are amazing moments in film, they just didn’t affect me like the deaths in this list. !! !IF YOU HAVEN’T SEEN ONE OF THE MOVIES LISTED, DON’T READ INTO IT!!! There aren’t many moments that you can truly say, based on their content, leave you gasping for air. The death of the villain, John Doe, in SE7EN is undoubtedly one of those moments. We never see this character until the end of the movie, but nevertheless, we fear him. We get to know the detectives on the case and we keep guessing what the end could be. What we do get is fantastically dark and real. If you’re looking for a prime example of a villain winning, this is it. What makes Lester Burnhum’s death so awesome isn’t the actual death itself. Lester’s death is made significant based on the events before and the magnificent final monologue of the movie. You find out right in the beginning that this character we’re being introduced to is going to die by the end. It’s not the “what” that we’re interested in because we know what’s going to happen, what we are concerned about are the “who” and the “why”. We get the answers we need and few things in film are as pleasing. Fight Club is one of my favorite films in general so it was really a no-brainer when it came to putting the stunning death of one the greatest characters in film on this list. 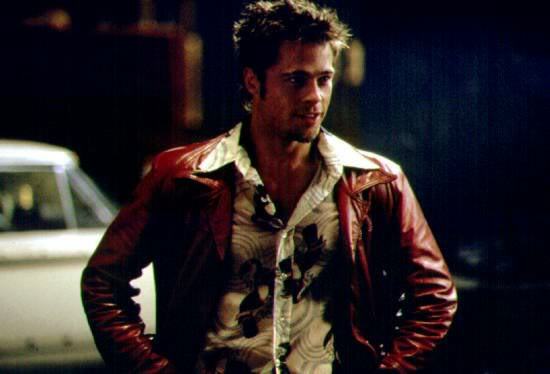 The relationship between the Narrator and Tyler Durden is one of the most special and interesting ever filmed. Throughout Fight Club we get to know these characters and know them well. By the end we know what has to happen and the death of the final scene which results in the death of Tyler Durden completely blows me away every single time. It seems that because of Sergio Leone’s brilliant film, “The Good, the Bad and the Ugly”, his other masterpiece, “Once Upon a Time in the West”, is often overlooked. 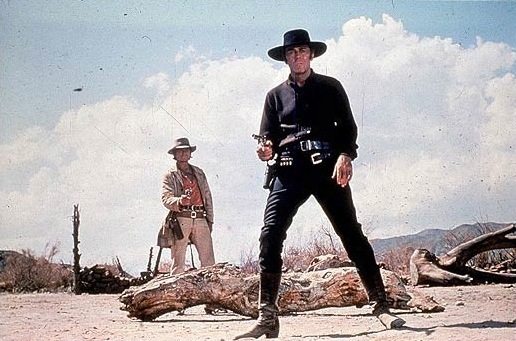 I do slightly prefer “The Good, the Bad and the Ugly”, but there is one aspect of “Once Upon a Time in the West” that is better and that is in the black-hearted villain, Frank. He’s one of the most despicable villains ever filmed and there are few moments in film that are as satisfying as the realization of the extent of his wrath and his immediate death right afterwards. Truly breathtaking cinema. 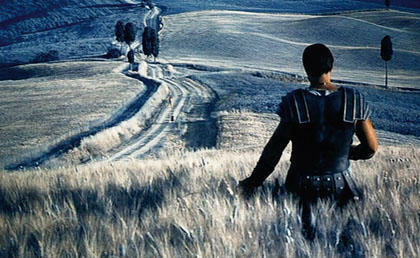 At the heart of the epic film Gladiator is a tale of well-deserved revenge. We fall in love with the protagonist Maximus and we grow to hate the villainous basterd he’s aiming to kill. Now that begs the question, why wouldn’t I put the satisfying death of the villain Commodus on this list? 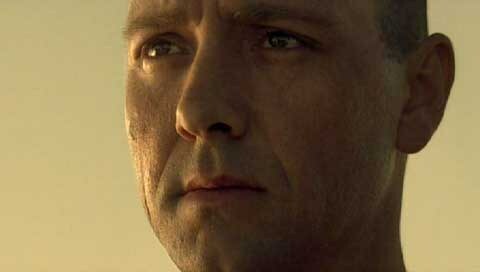 The reason is because the more emotionally powerful death belongs to Maximus Decimus Meridius. Yes, Commodus needs to die and burn in hell, but now Maximus’ mission is complete. His death was necessary because now he can go live in peace with his son and daughter in the afterlife. Unforgiven is a western centered on the two characters William Munny and Little Bill Daggett. Throughout this masterfully crafted film we learn the true natures of both characters and learn that the line between right and wrong isn’t always clear. Not till the very end of the film do the two characters finally meet and the better man is established. “I’ll see you in hell William Munny,” Little Bill says with pure honesty and hate in his eyes and before William Munny fires the final fatal bullet into Little Bill’s head, he replies with a sorrowful, “Yeah”. It’s one of those moments in film that make movies worth watching. “I’ve seen things you people wouldn’t believe…” is the start of one of the greatest movie quotes ever put one screen and the beginning of the final words of the character Roy Batty. Blade Runner is a film that asks many of life’s big questions, but those questions don’t come to true and beautiful light until the final encounter between protagonist Rick Deckard and philosophical replicant Roy Batty. It’s the most powerful scenes in film. First, Roy just toys with his advisory and when Rick tries to escape by hopping to another rooftop he isn’t able to make it and nearly dies. The true nature of the character Roy is shown when he is able to make the jump easily and save Rick, but not before he puts Deckard’s mission in life into perspective, with the line “Quite an experience to live in fear isn’t it? That’s what it is to be a slave. Then he utters his memorable final words and reaches the end of his time. Apocalypse Now is, without a shred of doubt, a staple in the art of filmmaking. While, the death of Col. Walter E. Kurtz is a triumph all its own. The main character, Captain Willard, is sent on a mission deep into cambodia in order to find and terminate a renegade Colonel who has taken command over the locals. We are taken on a journey into the true meaning of madness and on the way our anticipation grows like Captain Willard and all we want to do is finally meet Col. Kurtz. Because of a truly brilliant performance by Marlon Brando, every single line Kurtz utters is memorable and resonant. That goes especially for one of my favorite movie quotes, his powerful last words, “The horror, the horror.” On my first viewing of the film, right at that moment I thought to myself, “this is one of the greatest films ever made”. And it truly is. 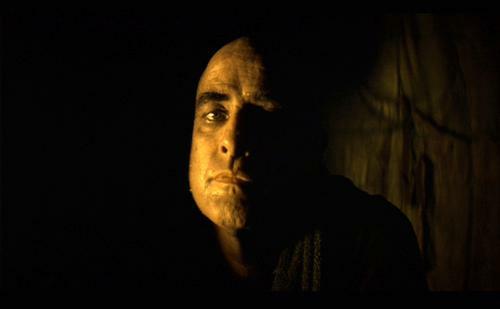 From the beginning, Apocalypse Now promises an amazing climax and gives you just that. It was difficult for me not to put this in the number one slot. Look back at numbers 3 and 2 of this list and you’ll notice that they share something with number 1. All three movies have generally simple tales, sure like all great filmmakers they establish deeper meanings, but the structure is simple. Rick Deckard, a retired Blade Runner is sent on a mission to kill four replicants (androids) led by Roy Batty, Captain Benjamin Willard is sent into Cambodia to kill Col. Kurtz and Beatrix Kiddo is out for revenge against her former boss and lover Bill. From the beginning, we know, if we are to be satisfied that is, that Roy Batty, Col. Kurtz and Bill will die. There are many examples of films where we know what might happen at the end, but we want to know how our hero will get there and how exactly they’ll do the deed, whether its Frodo throwing the ring of power into Mt. Doom or Batman saving Gotham from the evil clutches of the Joker. In this case, we’re talking about deaths in film and no death is as magnificent and significant as the death of Bill in the 4-hour-epic Kill Bill. What makes Bill’s death profound, innovative and beautiful is the unconditional love shared between the two warriors. Their fight is inevitable and both, Bill and Beatrix, realize that one is going to die, while the other will live on, but that doesn’t mean they still can’t care for one another. And in the end, Bill isn’t stabbed or shot, no, that wouldn’t satisfy. Instead Beatrix perform’s something called the five point palm exploding heart technique, which makes your heart explode from the inside after you take five steps. This allows him to have a few words with the love of his life, take a deep breath, button his coat and walk with dignity to the greatest movie death in film history. This entry was posted in All, Film Top Ten Lists and tagged American Beauty, Apocalypse Now, Arthur Burns, batman begins, Best Movie Deaths, Bill, Blade Runner, Col. Kurtz, Colonel Kurtz, Colonel Walter E. Kurtz, Deaths in Movies, fight club, Frank, Gladiator, John Doe, Kill Bill, King Kong, Lester Burnhum, Little Bill Daggett, Maximus, Movie Deaths, Norman Bates, Once Upon A Time In The West, Psycho, Ra's Al Ghul, Roy Batty, SE7EN, The Bride, The Proposition, The Wizard of Oz, Top Film Deaths, Top Movie Deaths, Top Ten Film Deaths, Top Ten Movie Deaths, Tyler Durden, Unforgiven, Wicked Witch of the West. Bookmark the permalink. Amazing list! I too would have picked Kill Bill for the number one spot. Not only is one of the greatest revenge films of all time, it is also, in my opinion, one of the greatest film epics of all time. Do you have any films you would put into the honorable mention category? How about the death of Don Vito Corleone in the Godfather? Michael Corleone in Godfather Part III? Yeah, there were a lot of other deaths I considered. It was a hard lis to make. Mozart from Amadeus, Alfred Borden from Prestige, Clifford Worley from True Romance, King Kong, Arthur Burns from The Proposition, etc. The list goes on and on.